Help, I have a headache! 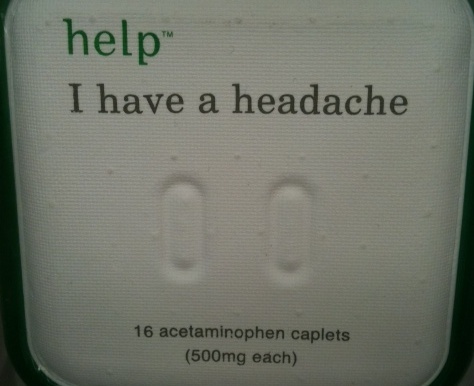 This is just one example, in a series, of simple medicine packaging for common ailments I found at the drugstore. This is the back. 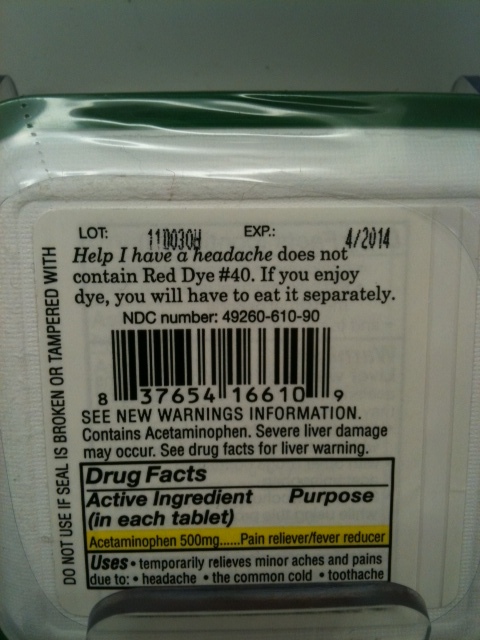 Please note at the top of the package the disclaimer about the Red dye #40. I always thought that was THE active ingredient.